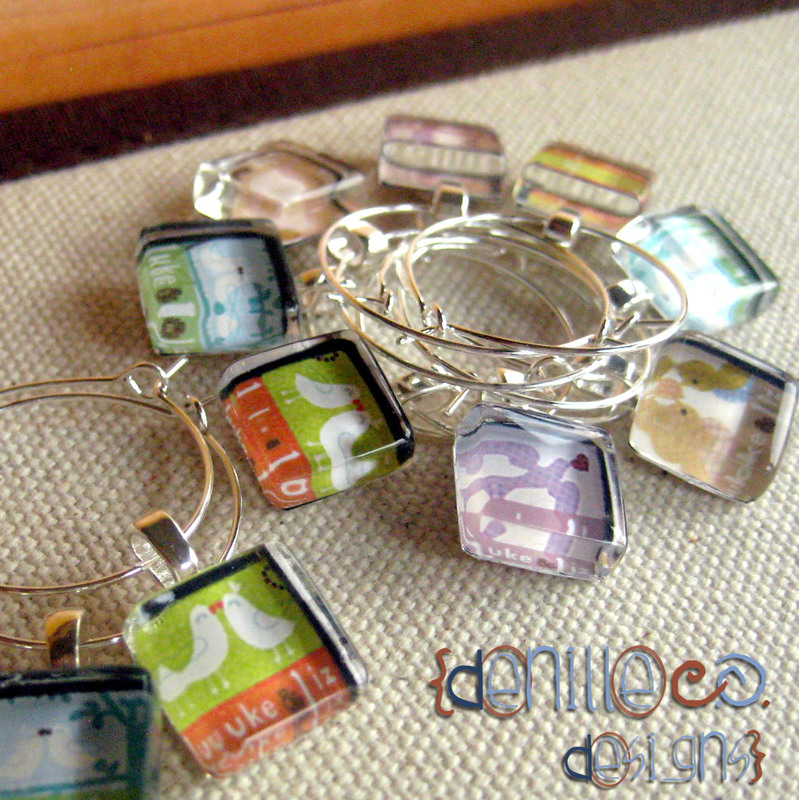 These custom beer bottle or beer can band charms are fun, and make great gifts or party favors. They are handmade with elastic bands to stay snug on any beer bottle, beer can or pint glass. Perfect for beer lovers, dads and husbands! Images are printed on high quality photo paper, then transferred to glass tiles. The backs are first coated with a protective finish, then silver bails and elastic rings are attached to each one. *Want me to ship your order directly to your loved one? I’ll include a personal note from you and a sweet treat! Enter THEIR name and address at checkout, and what you’d like the note to say. – Packaged and ready to give! 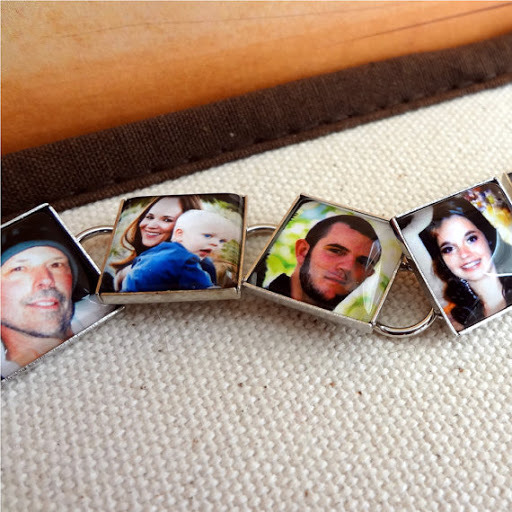 Custom photo bracelets are a fun way to share memories with those around you. 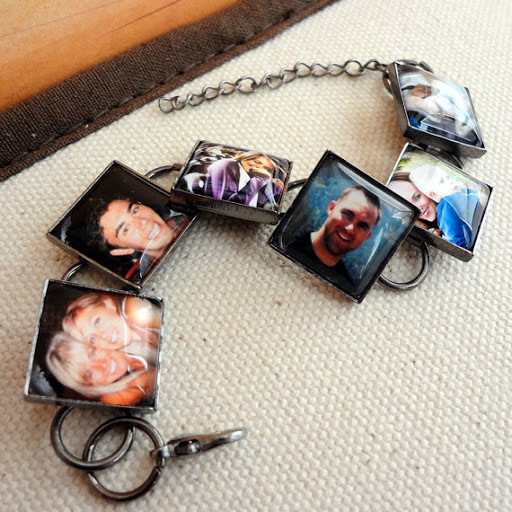 Make one for yourself with your favorite things OR create one for your mom, sister, best-friend, mother-in-law…you name it! They look great and come in different metal selections to match people’s preferences. 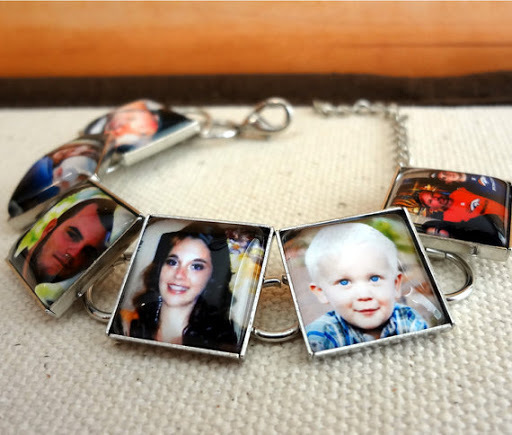 Choose 6 to 7 of your favorite images, send them me, and I’ll turn them into a beautiful silver or gunmetal custom photo bracelet! To order, go to denilleeo designs and click on the Bracelets link! You can email images to me or send them in a message through Etsy. Don’t miss your chance to give something not only special, but also very unique this year! WOW! Who knew wedding season was so crazy?? Ok…I guess anyone who has ever had a wedding, helped with a wedding, or been invited to the countless weddings during the summer knows that. But for denille e.o. designs, wedding season has produced an insane amount of orders from brides, maids of honor, and even the mothers of grooms. Why?? Because it seems that the customizable glass wine charms, party favors, and ribbon bookmarks are a huge hit as wedding guest gifts and wedding shower party favors. We’ve even had people ordering these as favors for the wedding rehearsal dinners. And it has been a BLAST! One of my favorite parts of running denille e.o. 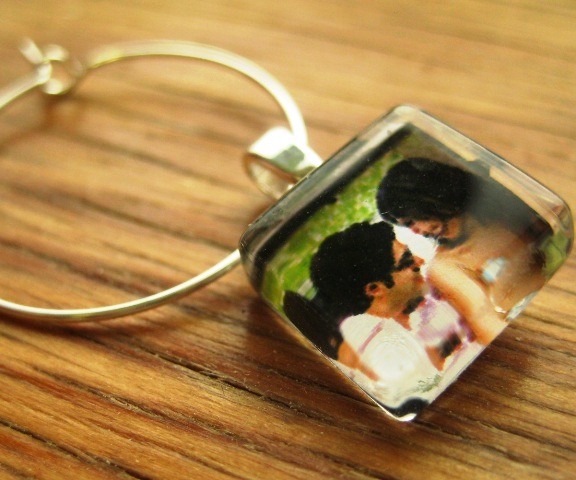 designs is creating the custom, one-of-a-kind gifts and accessories for people. I know it sounds incredibly cheesy, but it really brings the warm-and-fuzzies to my heart when I know someone is going to get one of my items at a wedding or for a baby shower or any other SUPER special occasion. It’s neat to make something for people that will bring joy to them, even if it’s in a very (literally) small way. Thanks to all those amazing buyers who have been online looking for unique hand-crafted gifts, and found me. 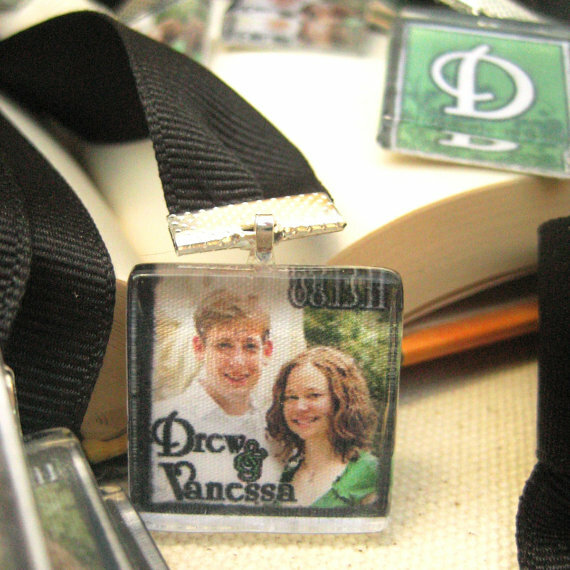 Thanks to the moms who want to hand out charms or pendants with their kids’ adorable faces on them. Thanks to the bridesmaids who want to have party favors unlike any other bridal shower out there, just because they love their engaged friend so much! And thanks to all of you who have supported me along the way, in my many, MANY endeavors. I know I can be all over the place sometimes, but I really do enjoy what I do, and I love ALL of you for loving me for it.